Five Finger Death Punch, Brian May, Kenny Wayne Shepherd "Blue On Black"
Five Finger Death Punch teamed up with Kenny Wayne Shepherd on "Blue On Black" with the help of Queen's Brian May, and Brantley Gilbert. All the proceeds from the song go to the Gary Sinise Foundation, which honors America's defenders, vets, first responders and their families. 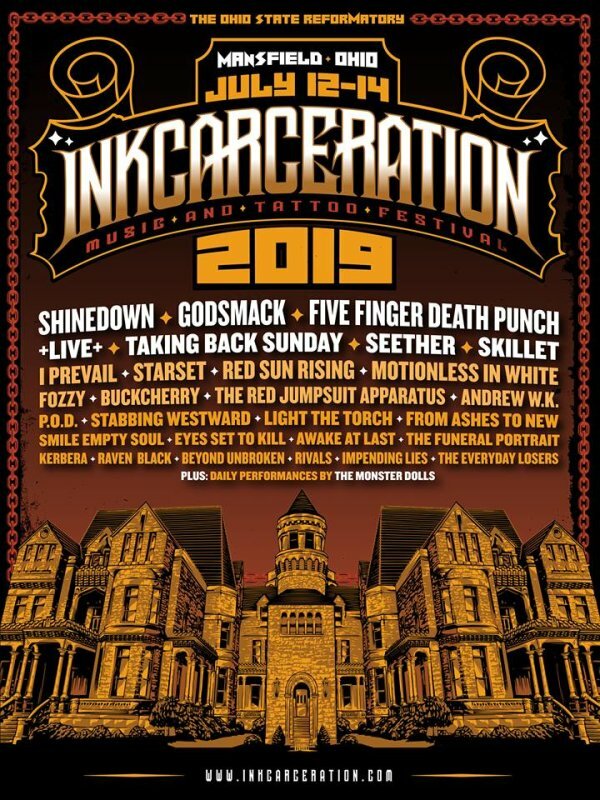 Win a pair of weekend passes to the 2019 Inkcarceration Festival!